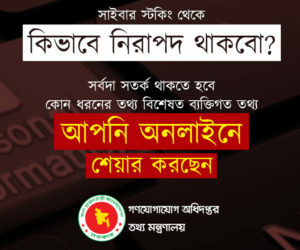 Smart Technologies (BD) Ltd. (STBL), one of the largest ICT product distributors in Bangladesh announced a special Boishakhi offer through a crowded press conference today. Zafor Ahmed, Director, Channel Business, STBL announces the exclusive offer on HP laptop. Under this offer, customers will get some exclusive sure gifts through scratch card. 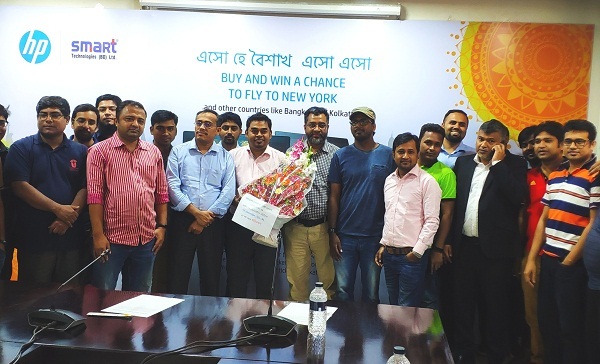 He said, luckiest winners would get Dhaka-New York-Dhaka return air ticket, Dhaka-Bangkok-Dhaka air ticket & Dhaka-Kolkata-Dhaka return air ticket while thousands of customers will get Branded wrist watch, Umbrella, Sunglasses and USB disks. Muzahid Al Beruni Suzon, Director, Channel Sales said, we are declaring this special offer to share the joy of Bengali New Year with our honorable end users. He also added that, this offer would continue up to 23rd April 2019.